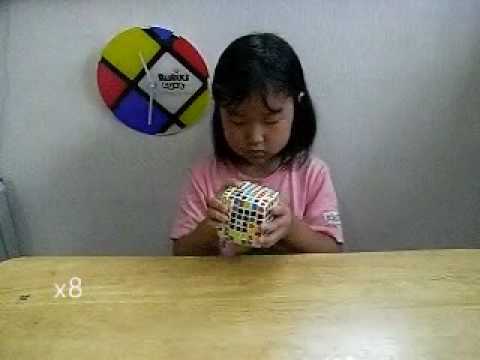 Rubik's Cube World Record 5.25 sec Collin Burns Slow Motion 70% ,50%,and 25% CUBE : Yuxin RECONSTRUCTION: U2 R2 U B2 L2 R2 U2 F2 U' F R2 B2 R2 U' L' D2 U' R F2 L2 x2 F' R D L' D2 R U' R' U' L' U' L U L U' L' R' U2 R U2 R' U R U' R U R' R' F R U R U' R2 F' R2 U' R' U R U R' Visit Collin Burns official Channel Here : https://www.youtube.com/user/collinbxyz Visit DGCubes channel for original footage : https://www.youtube.com/user/DGCubes/videos music name : Action Hero artist : Jingle Punks From Youtube Audio Library Rubik's Cube World Records 1 - Rubik's Cube - Collin Burns - 5.25 2 - 4x4 Cube - Sebastian Weyer - 21.97 3 - 5x5 Cube - Feliks Zemdegs - 48.42 4 - 2x2 Cube - Christian Kaserer - 0.69 5 - 6x6 Cube - Kevin Hays - 1:40.86 6 - Rubik's Cube: One-handed - Antoine Cantin - 8.75 7 - Rubik's Cube: With feet - Gabriel Pereira Campanha - 25.14 8 - Rubik's Cube: Blindfolded - Marcin Kowalczyk - 21.17 9 - 4x4 Cube: Blindfolded - Oliver Frost - 2:10.47 10 - Rubik's Cube: Multiple Blindfolded - Marcin Kowalczyk - 41/41 54:14 11 - Pyraminx -Oscar Roth Andersen - 1.36 12 - Megaminx - Yu Da-Hyun - 37.58 13 - Rubik's Clock - Evan Liu - 4.80 14 - Rubik's Cube: Fewest moves - Tomoaki Okayama - 20 15 - Square-1 - Bingliang Li - 6.96 16 - 7x7 Cube - Vladislav Shavelskiy - 2:36.58 17 - Skewb - Jonatan Kłosko - 1.81 18 - 4x4 Cube: Blindfolded - Oliver Frost - 2:10.47 19 - 5x5 Cube: Blindfolded - Oliver Frost - 5:35.84 Records Single time: The current world record for single time on a 3×3×3 Rubik's Cube was set by Collin Burns of theUSA in april 2015 with a time of 5.25 seconds done at Doylestown Spring 2015. 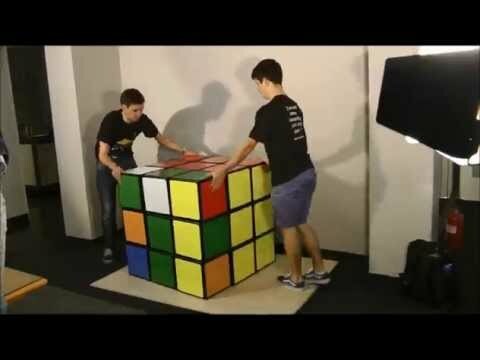 Average time: The world record for average time per solve was set by Feliks Zemdegs at the Melbourne Cube Day 2013, with a 6.54 second average solve time. One-handed solving: The fastest single time of solving the cube with one hand is 8.75 seconds by Antoine Cantin at the Toronto Fall 2014. The fastest average time of 10.87 seconds was made by Antoine Cantin Feet solving: Gabriel Pereira Campanha solved a Rubik's Cube with his feet in 25.14 seconds at the Nova Odessa Open 2014. Group solving (12 minutes): The record for most people solving a Rubik's Cube at once in twelve minutes is 134, set on 17 March 2010 by school boys from Dr Challoner's Grammar School, Amersham, England, breaking the previous Guinness World Record of 96 people at once. Group solving (30 minutes): On November 21, 2012, at the O2 Arena in London, 1414 people, mainly students from schools across London, solved the Rubik's Cube in under 30 minutes, breaking the previous Guinness World Record of 937. The event was hosted by Depaul UK On November 4, 2012, 3248 people, mainly students of College of Engineering Pune, successfully solved the Rubik's cube in 30 minutes on college ground. The successful attempt is Recorded in the Limca Book of Records. The college will submit the relevant data, witness statements and video of the event to Guinness authorities. Blindfold solving: The record for blind solving is held by Marcin Kowalczyk of Poland, who solved a cube blindfolded in 21.17 seconds (including memorization) at PLS Szczecin 2014 Multiple blindfold solving: The record is held by Marcin Kowalczyk of Poland, who successfully solved 41 of 41 cubes blindfolded at the SLS Swierklany 2013. Fewest moves solving: Tomoaki Okayama (岡山友昭) of Japan holds the record of 20 moves set at the 2012 Czech Open. 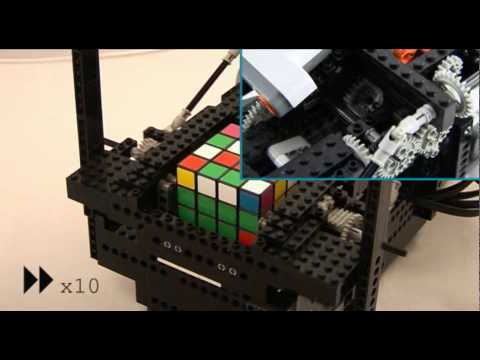 Non-human solving: The fastest non-human time for a physical 3×3×3 Rubik's Cube is 3.25 seconds, set by CubeStormer III, a robot built using Lego Mindstorms and a Samsung Galaxy S4. This beats the prior 5.27 seconds, set by CubeStormer II, a robot built using Lego Mindstorms and a Samsung Galaxy S2. This broke the previous record of 10.69 seconds, achieved by final year computing students at Swinburne University of Technology in Melbourne, Australia in 2011.